Business Exchange is a monthly business meeting where Chamber members, the Chamber Chair and CEO, the City Manager and representatives from the Chamber Board of Directors and City Council meet to discuss current business issues and to promote upcoming events and programs. The Business Exchange Committee sets the Agenda of topics to be presented and discussed, one week in advance of the meeting. Agendas are emailed our to members on the Friday prior to the meeting. 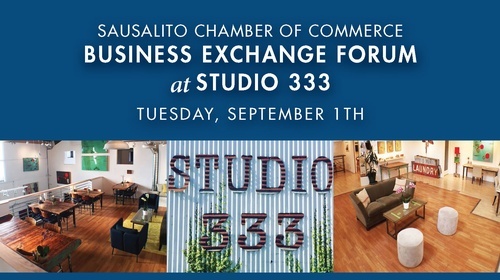 If you would like to have a particular topic discussed at the meeting, please contact the Chamber at 331-7262 or email Chamber@sausalito.org at least two weeks prior the meeting.